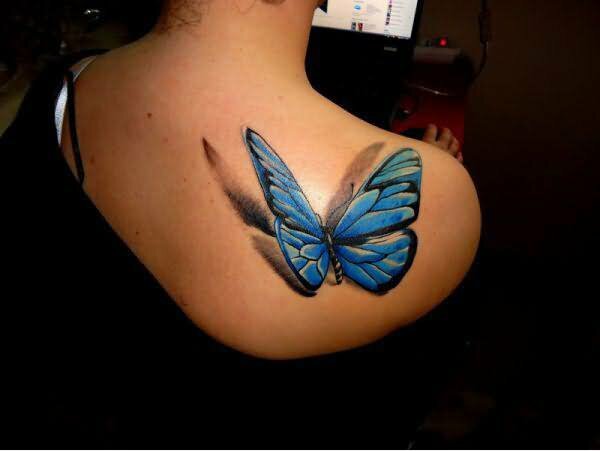 Inspired by photography and modern 3D software, many artists like to create their tattoo pieces in a realistic 3D effect. 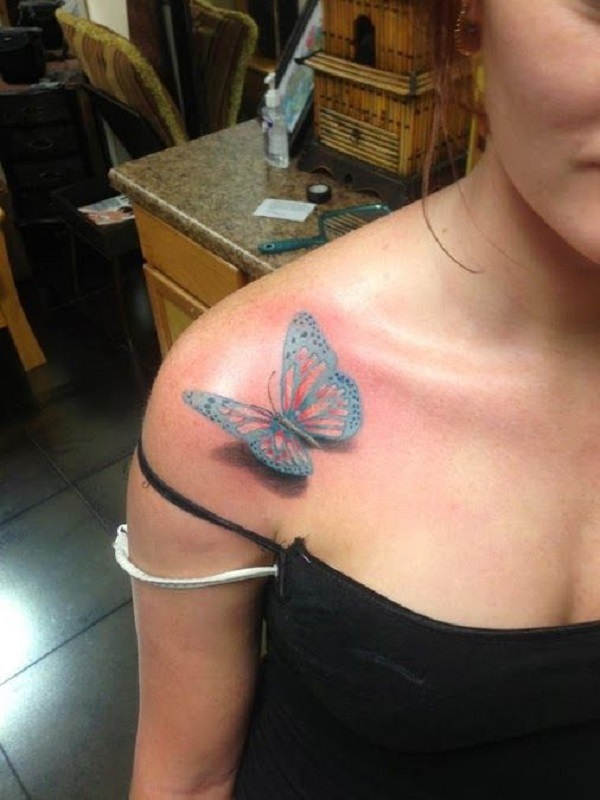 It’s incredible when a tattoo is rendered in 3D style. 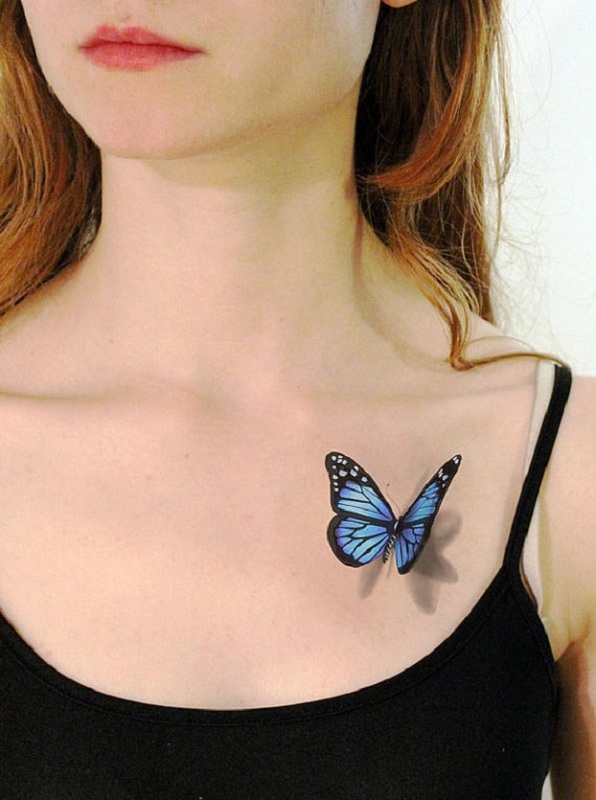 3D tattoos is in hot demand for both men and women. 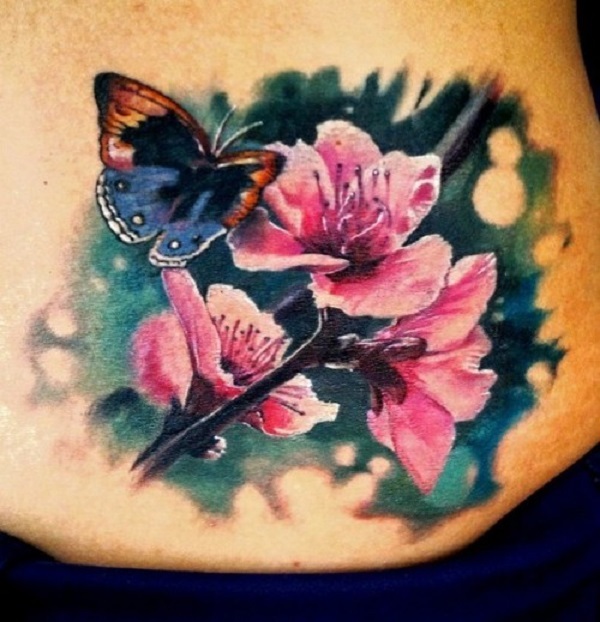 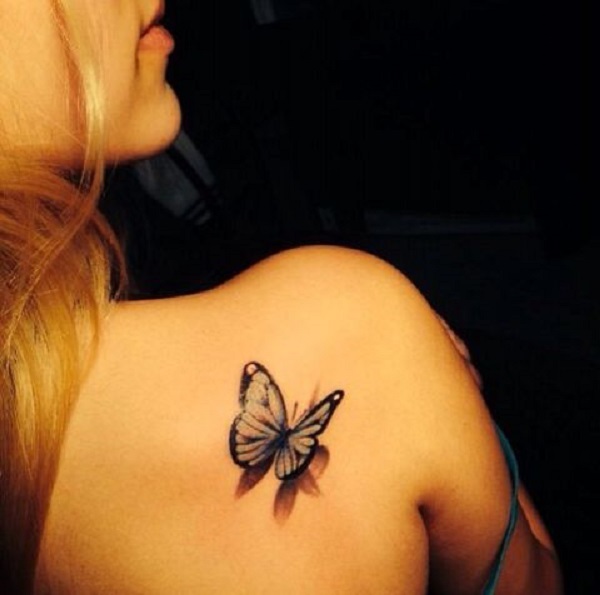 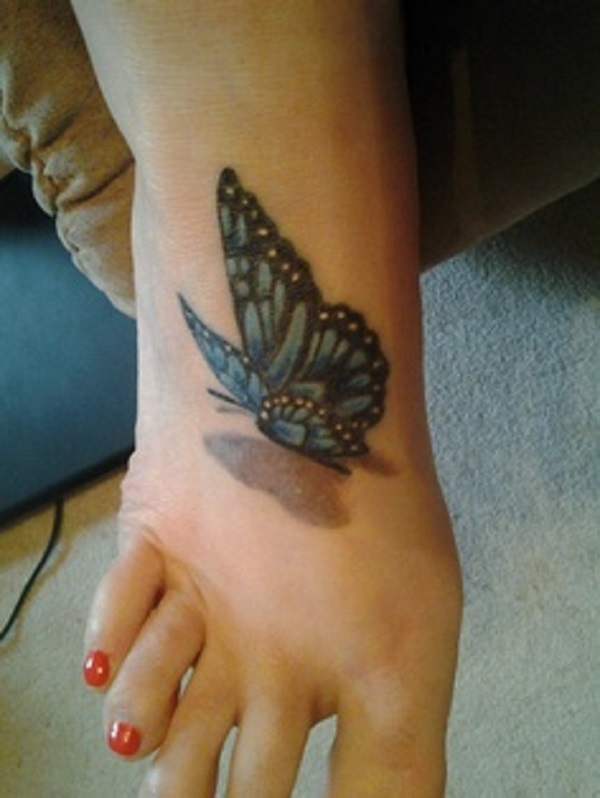 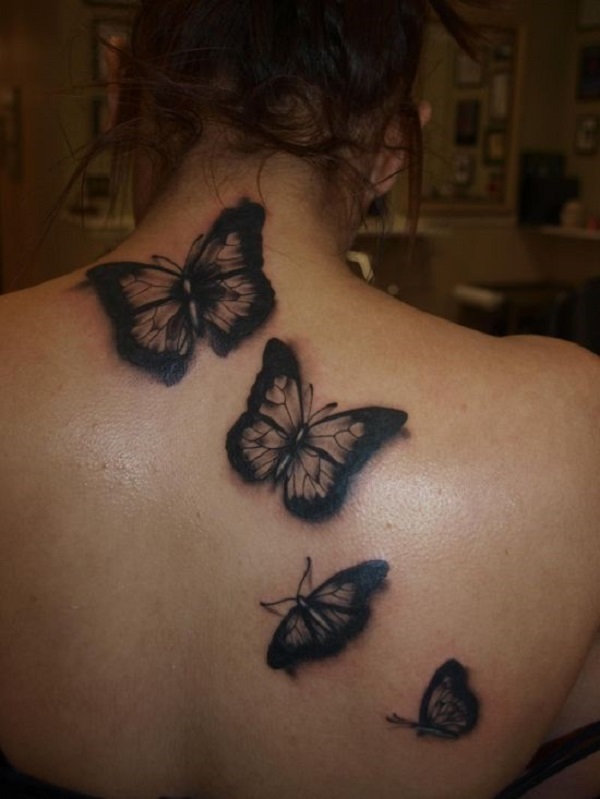 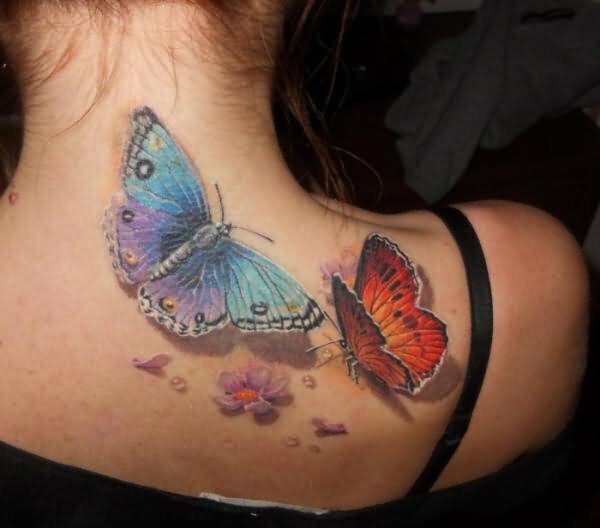 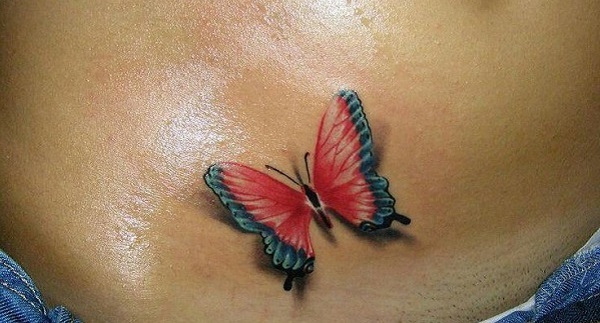 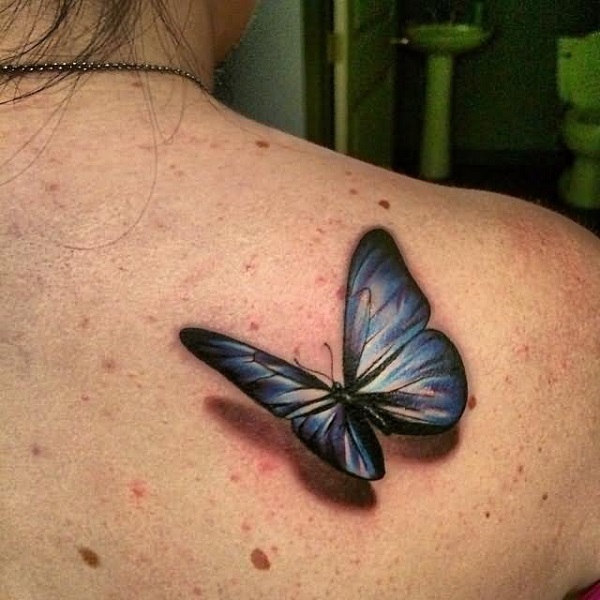 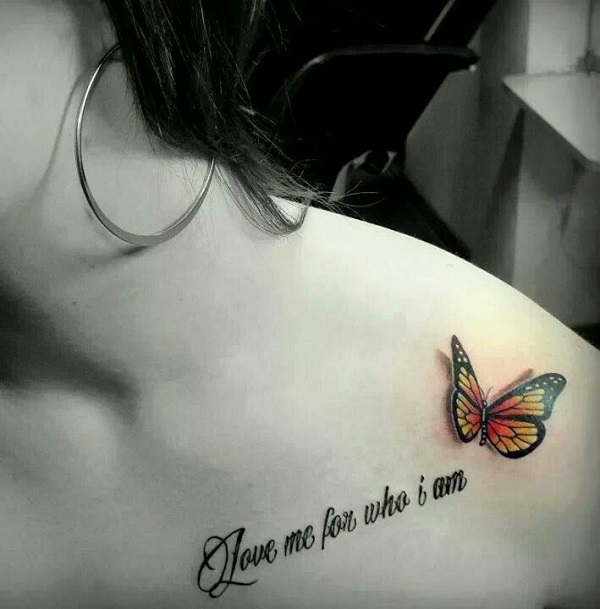 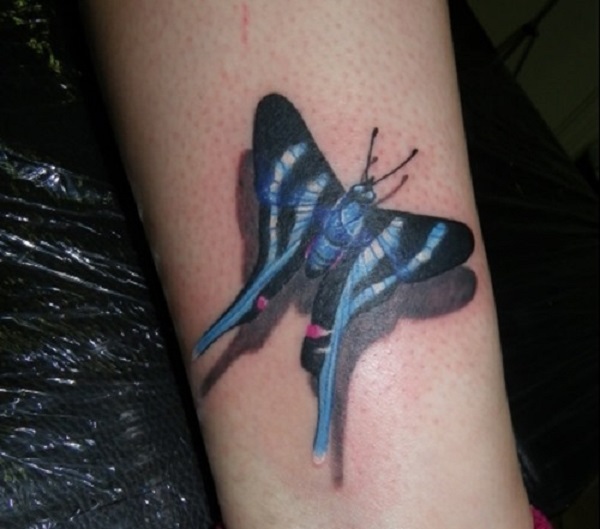 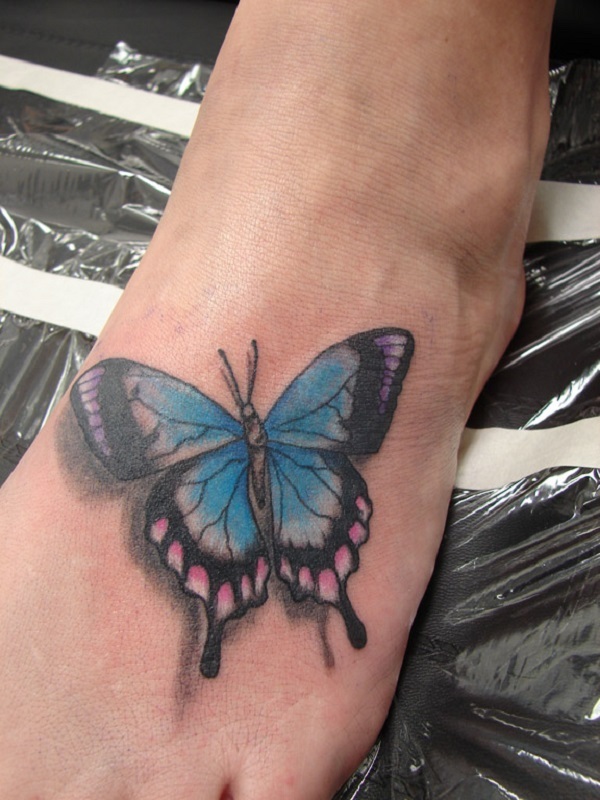 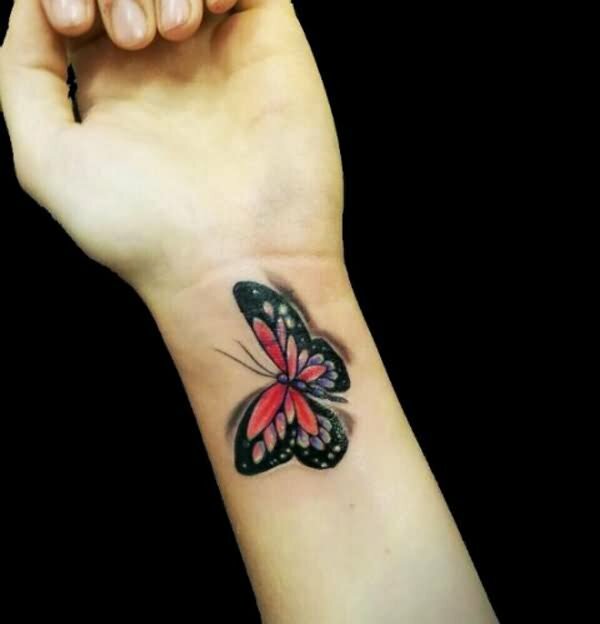 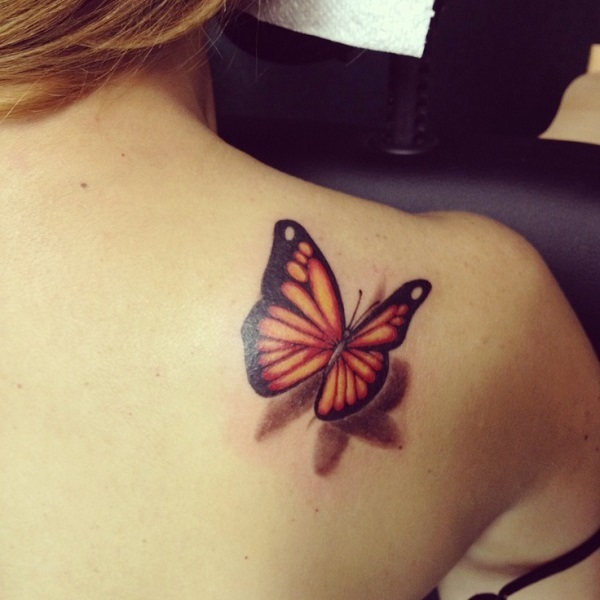 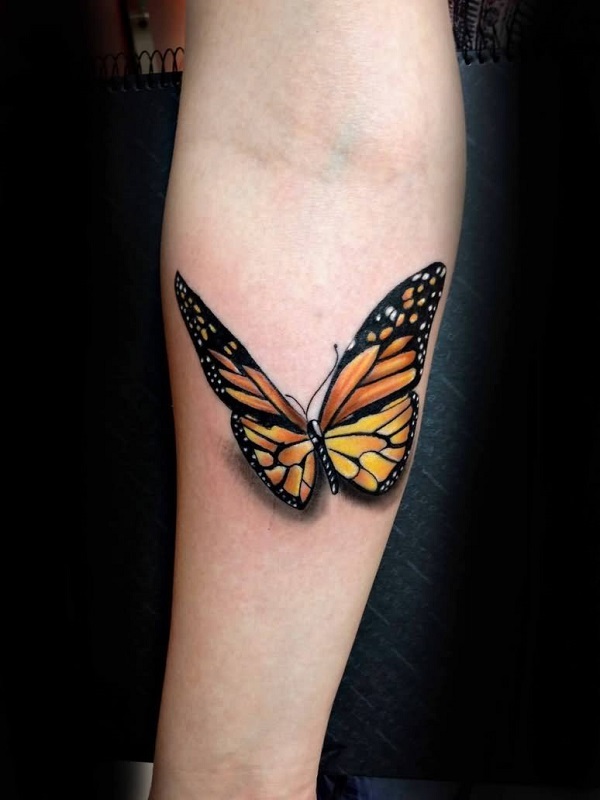 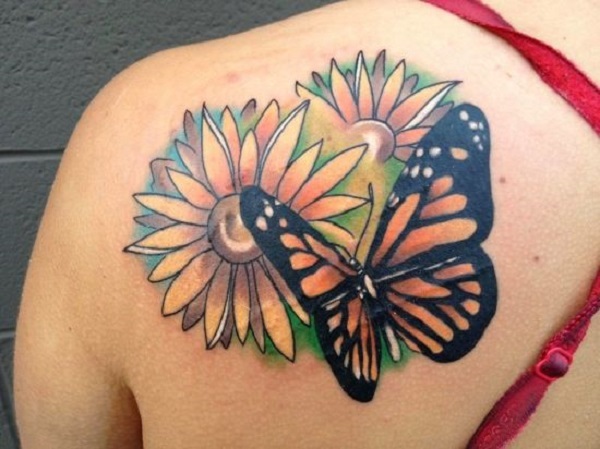 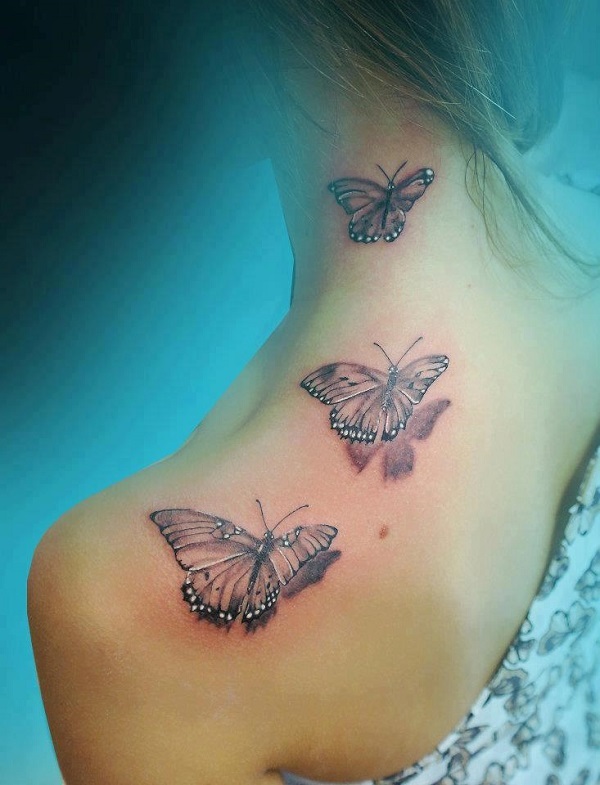 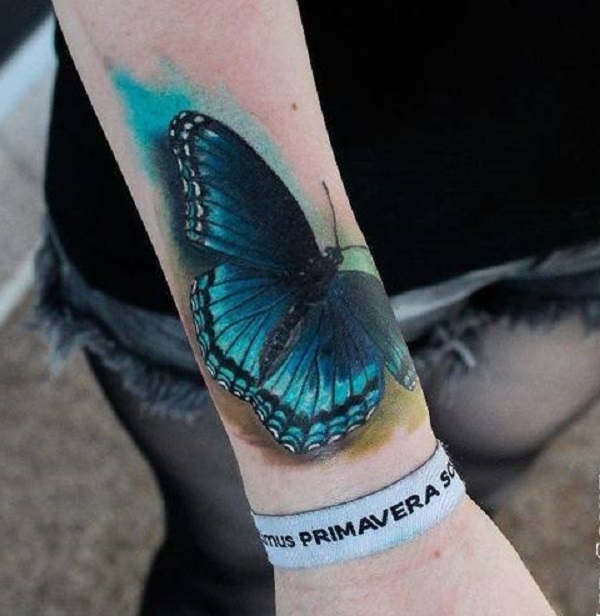 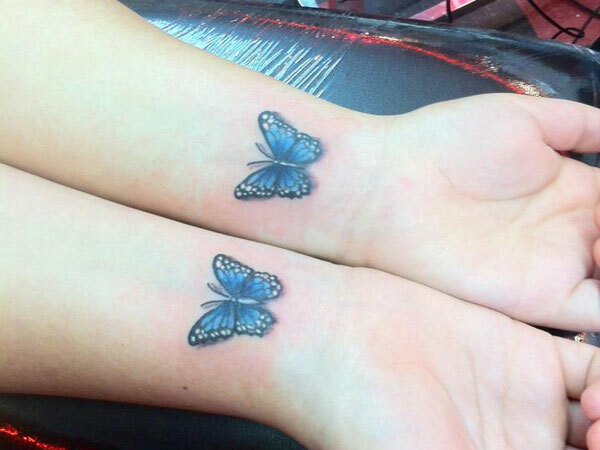 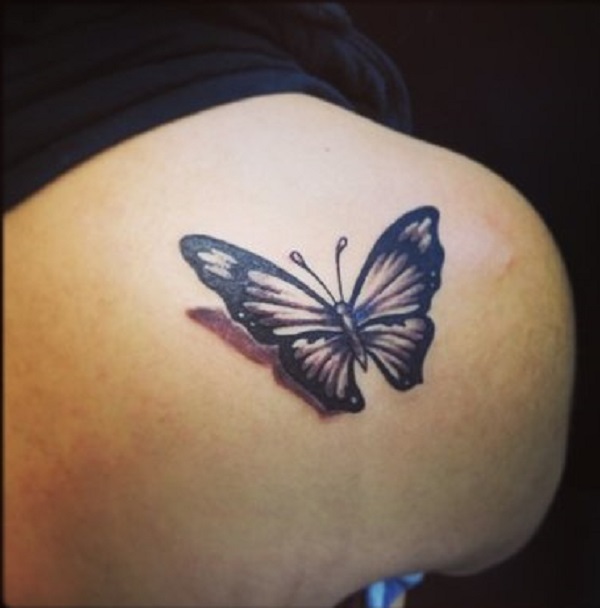 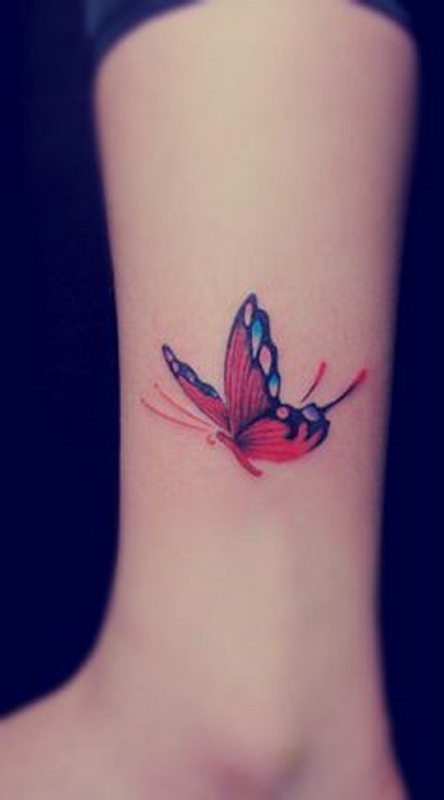 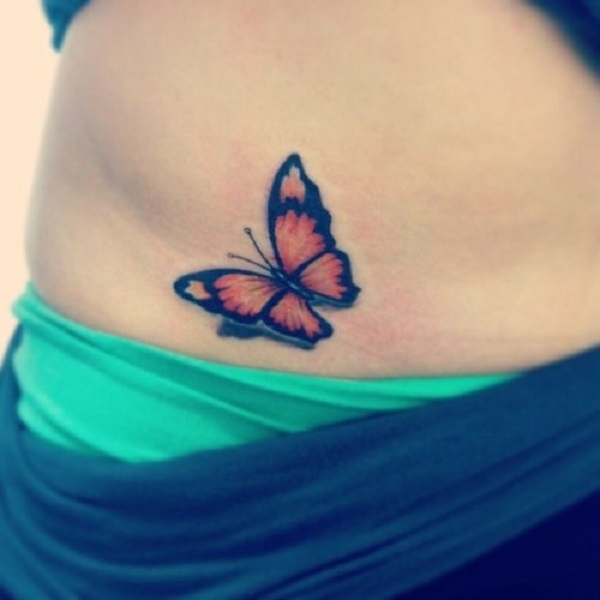 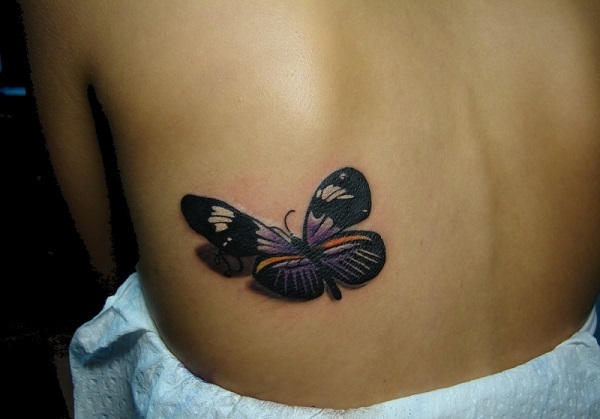 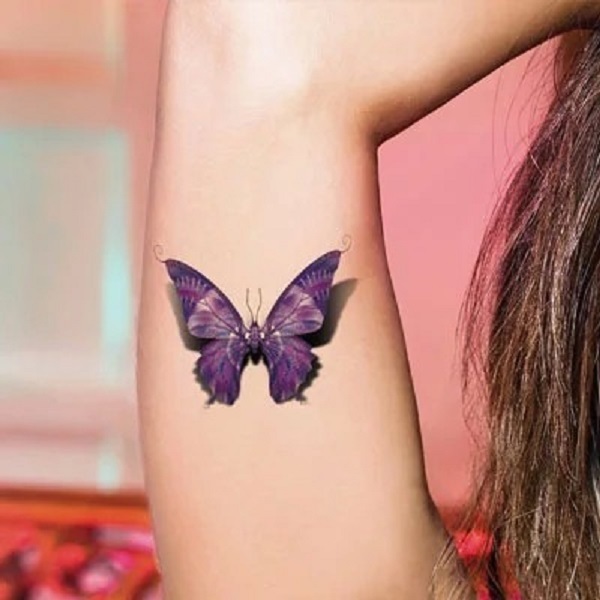 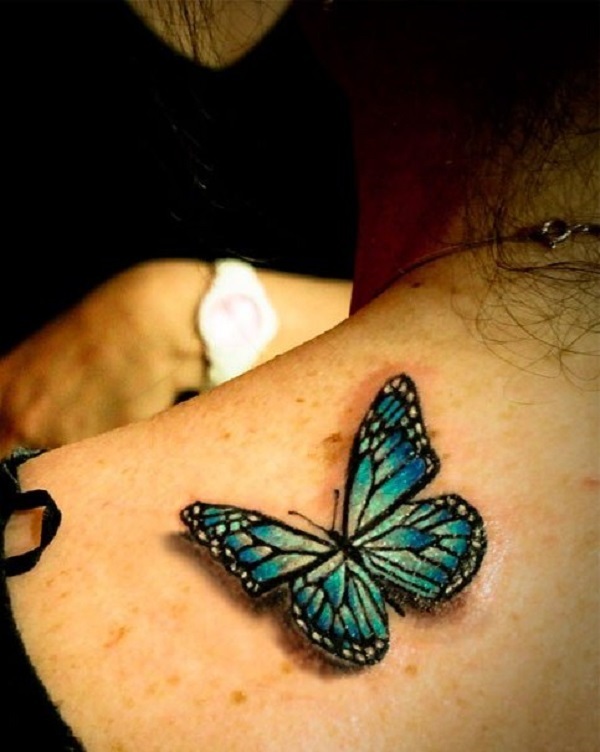 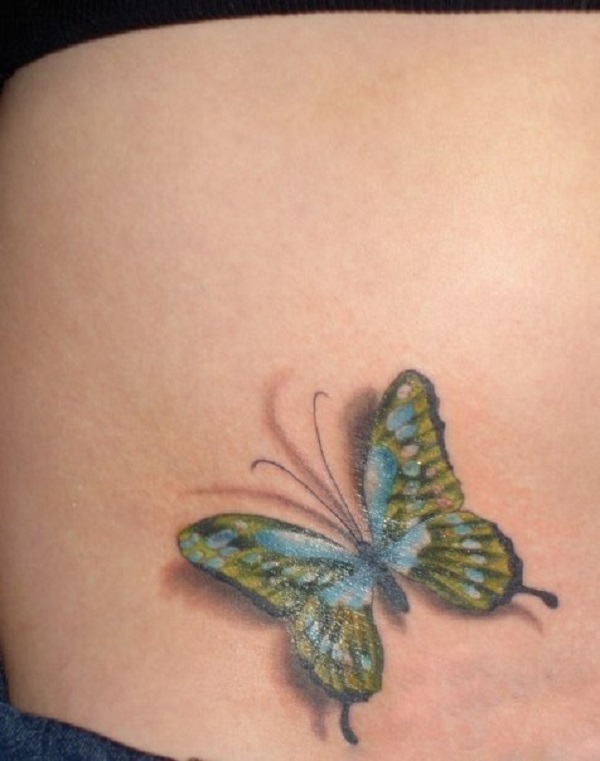 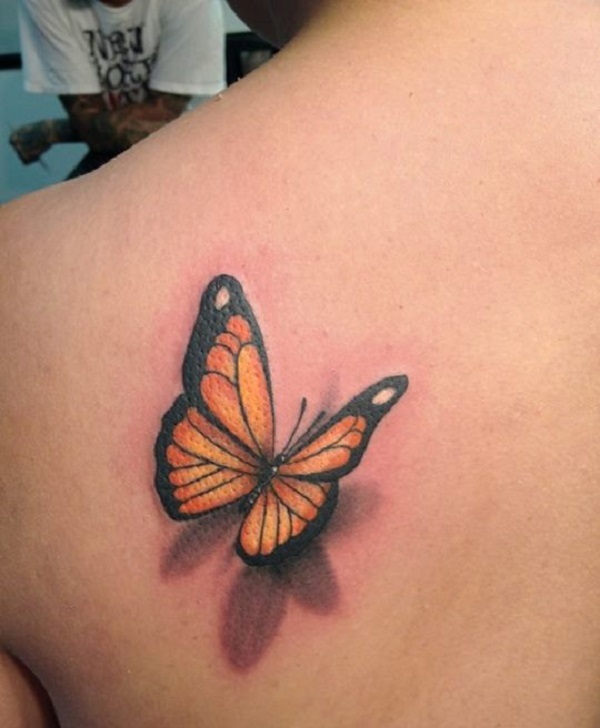 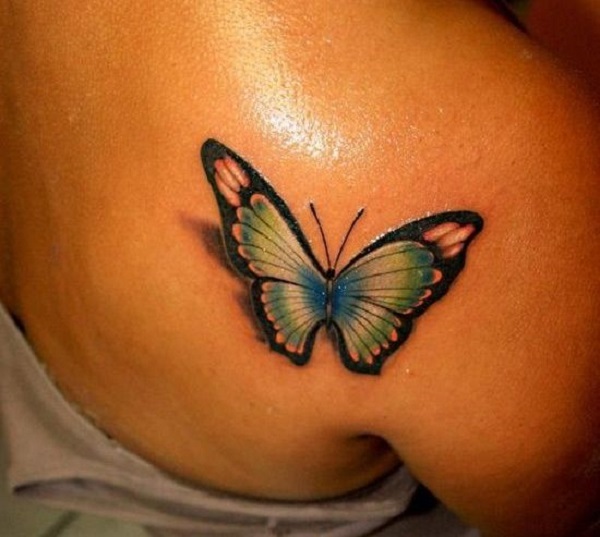 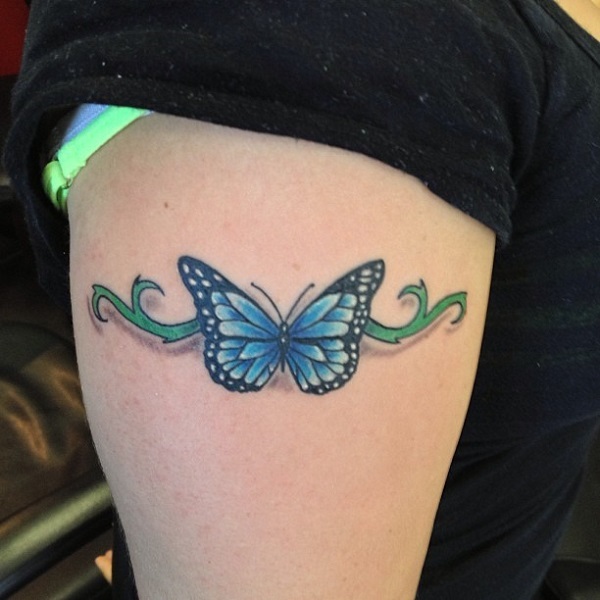 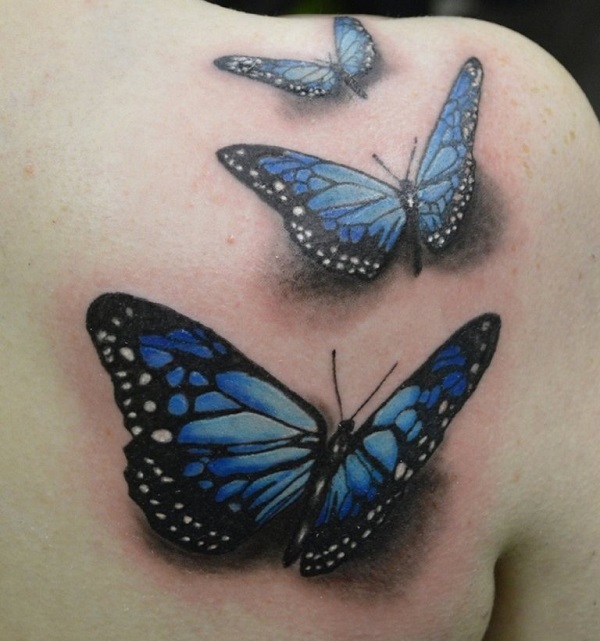 3D tattoos are especially popular for those small tattoos, e.g., butterfly tattoos. 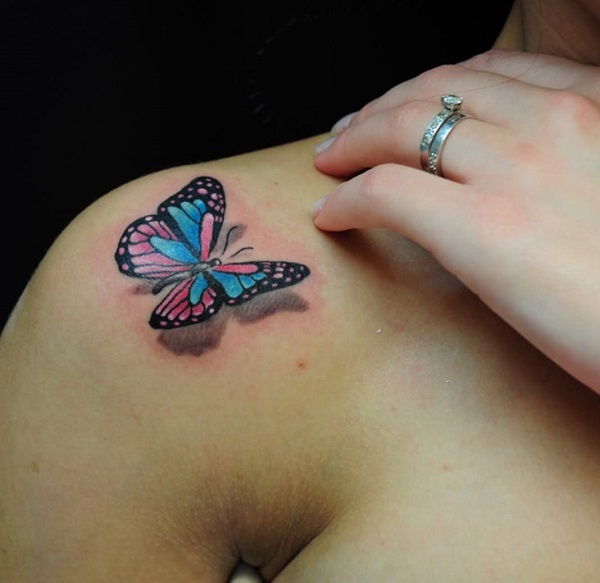 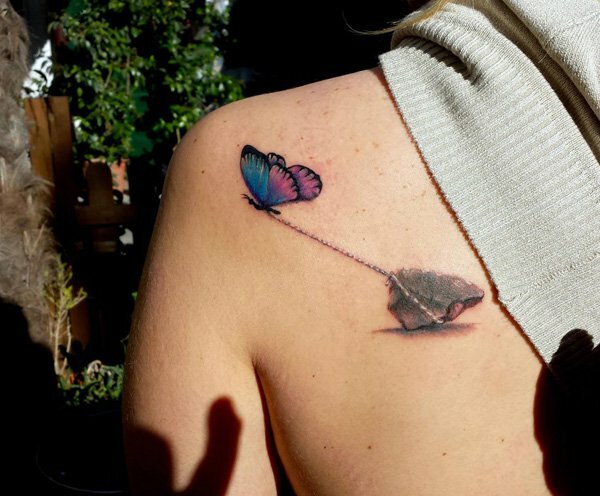 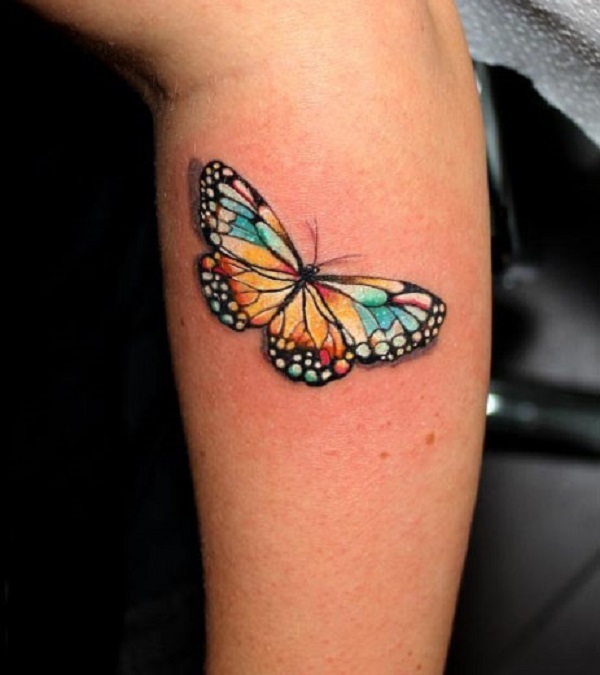 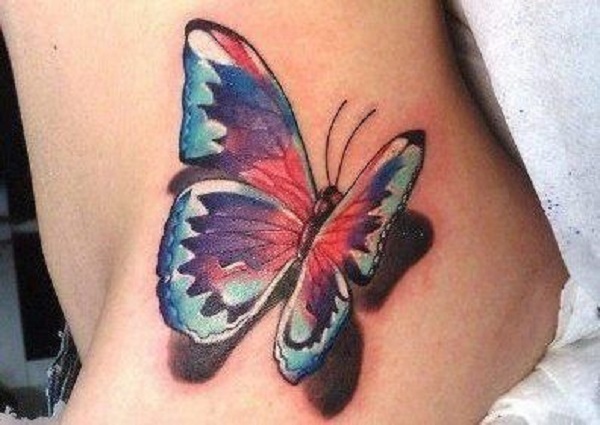 Without distracting of many other elements, a 3D butterfly tattoo is eye-catching and lures many of women tattoo lovers. 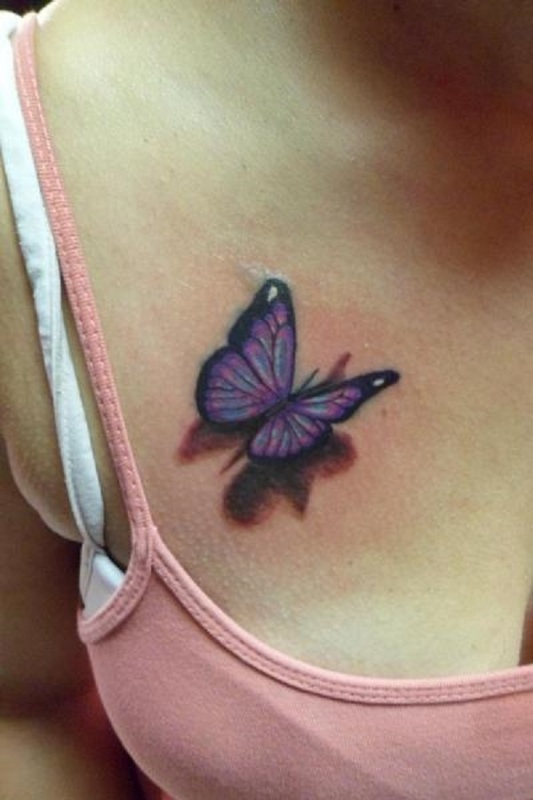 A butterfly tattoo is always a favorite tattoo idea for women. 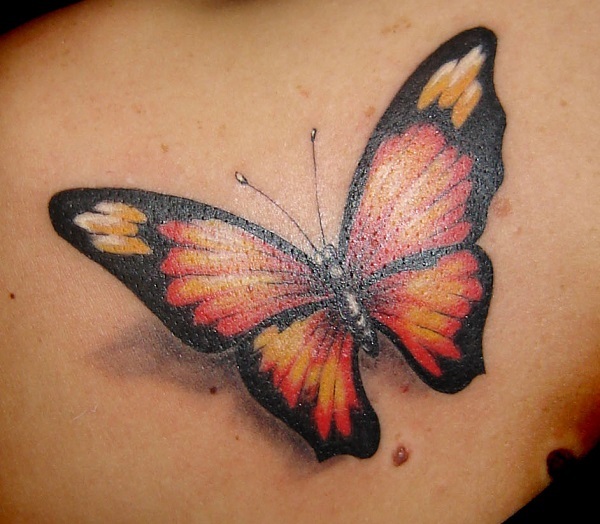 People associate the life cycle of a butterfly to all sorts of change and transformation happened in life. 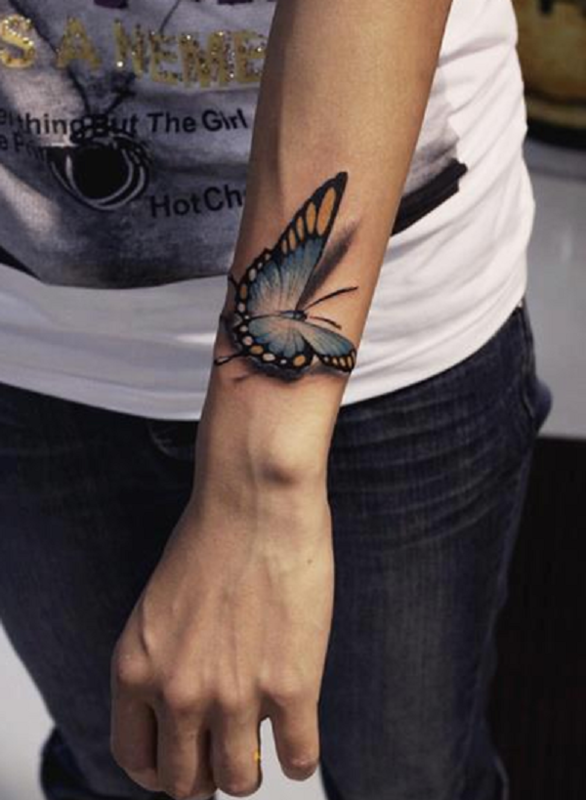 Change is inevitable for anybody. 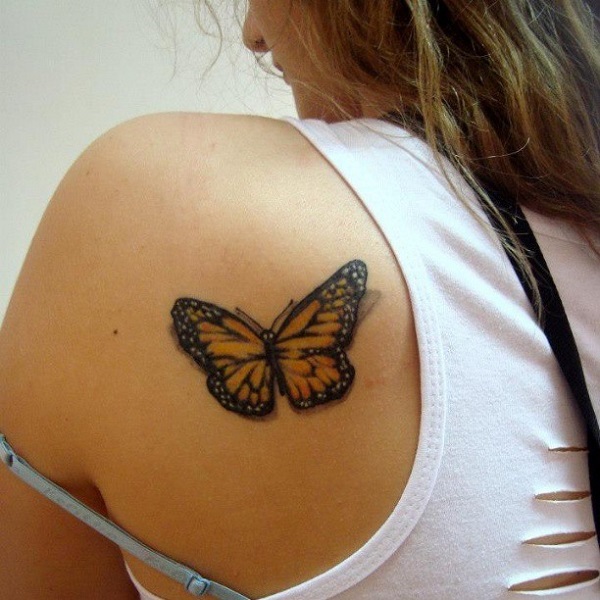 Change could be misfortune, growth, or rebirth. 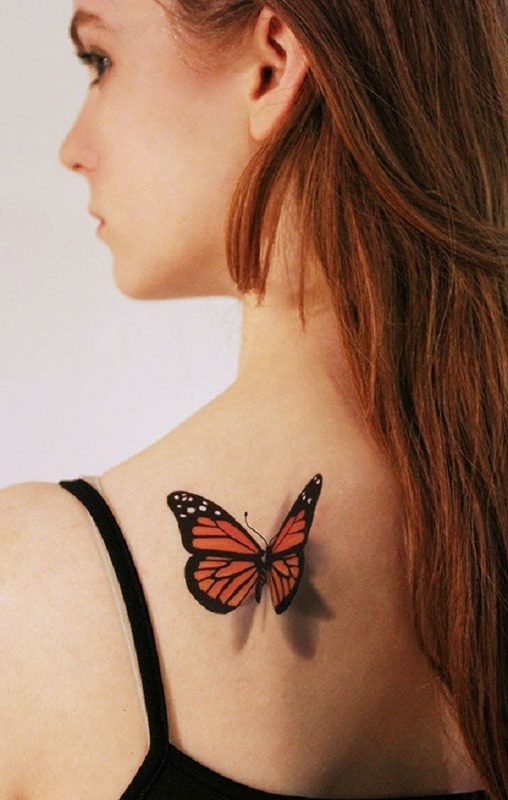 For women, it’s kind of comfort to see the natural resemblance to their lives. 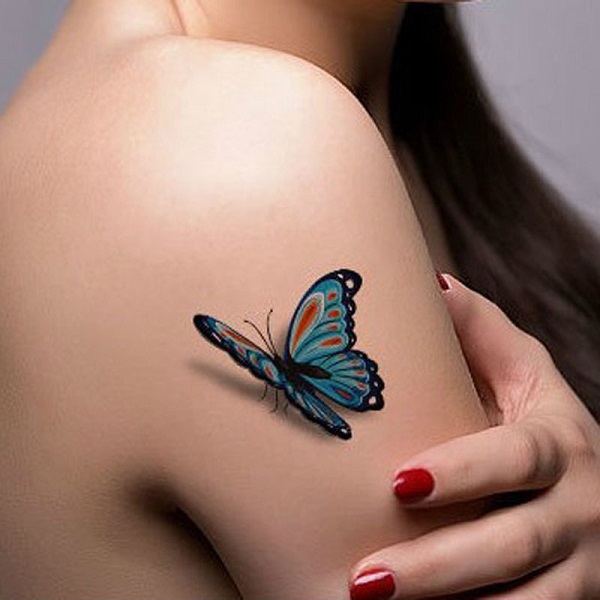 The cyclical nature of women’s lives means they will face periods of transition and change – love, marriage, divorce. 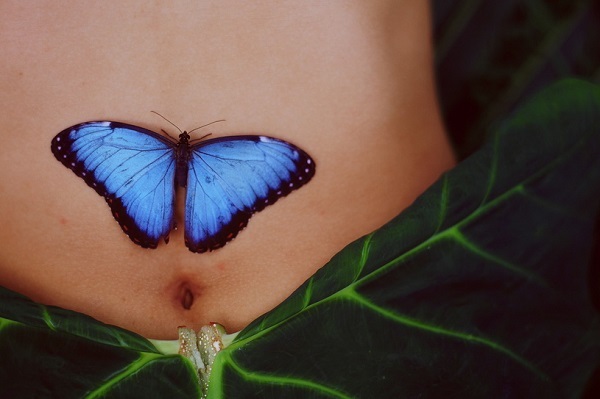 Always remember it’s natural happening when confronting the change, let it go and self-respect is a thing you may select. 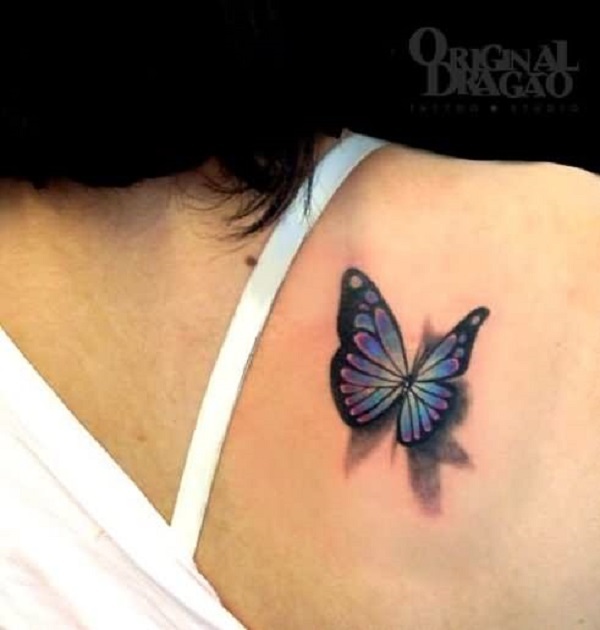 The white butterfly tattoo gives 3D effect in day time and looks shining in night time.